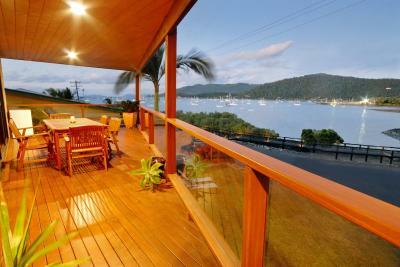 Lock in a great price for Airlie Waterfront Bed & Breakfast - rated 9.6 by recent guests. 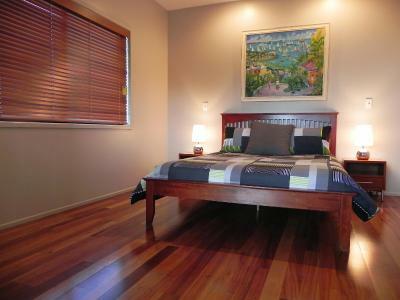 Wonderful view and location 2 minutes from main street, but quiet. 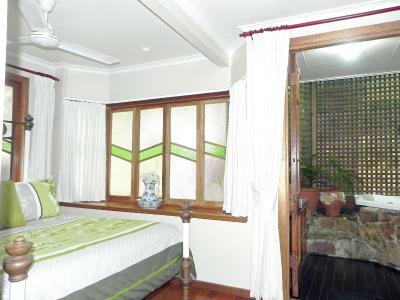 Very friendly and helpful hosts, wished we had booked fir longer than 1 night. Large apartment. Very centrally located. Friendly owners. Problems (broken toaster and dirty egg cooker) quickly seen to. Washing up, cleaning and bed making done daily. Fresh towels each day. Laundry facilities available. The view was amazing. Both hosts were very friendly and helpful in every way. 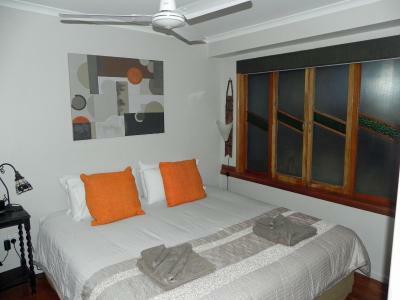 The room was quiet, comfortable and had everything provided to make our stay the best it could be. 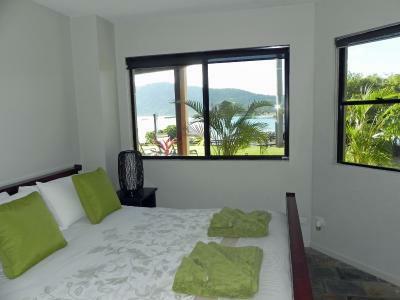 Outstanding views of the Coral Sea, lagoon & the very comfortable room. Karen and Malcolm are nice peuple, and very helpful. 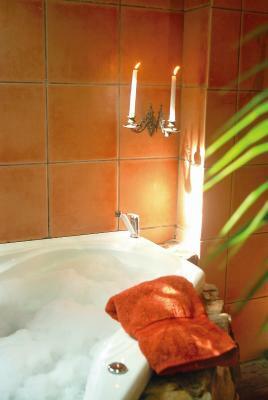 Nice and clean place, with a great jacuzzi. We could have breakfast on the small terrasse with a nice view. Would come here again. The owners are so unbelievably welcoming. Breakfast in the fridge waiting every morning. Beds made every day. Such a comfortable place! The location and view was the best you could ask for. We didn't need to get in the car once we arrived, and could walk everywhere we needed to. The hosts were pleasant and ensured we were made to feel welcome. 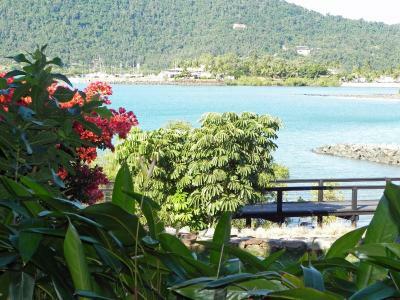 Winner of multiple tourism awards, Airlie Waterfront B & B is located on the waterfront, just 20 yards from the beach and 200 yards from the swimming lagoons. 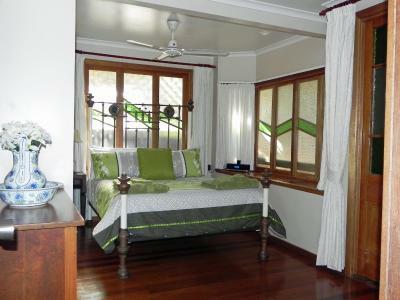 Guests are provided with free Wi-Fi and in-room breakfast. 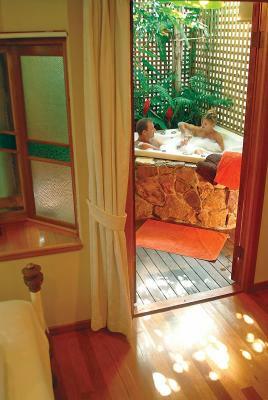 Each suite and apartment offers a furnished balcony or patio with ocean views and some also have a spa bath. 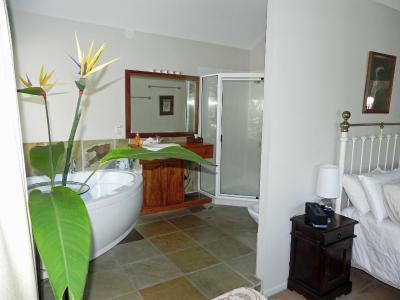 Living areas include satellite TV and an iPod docking station. Laundry facilities and luggage storage are available. 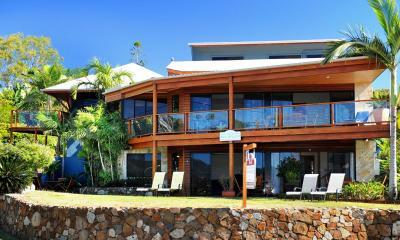 Sitting at the gateway to the Whitsunday Islands, guests can book sailing, diving and snorkelling tours. 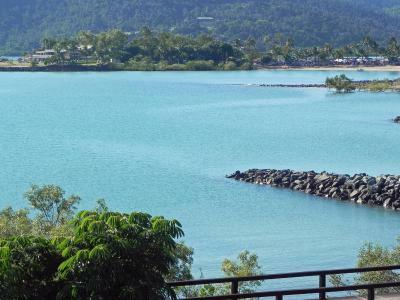 You can also book a helicopter or seaplane ride. 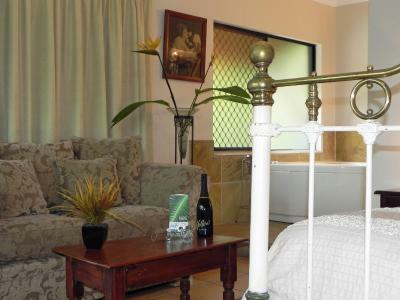 Daily continental breakfast provisions include breakfast cereals, eggs, bread, yoghurt, juices, tea and plunger coffee that guests can prepare in the comfort of their own room. 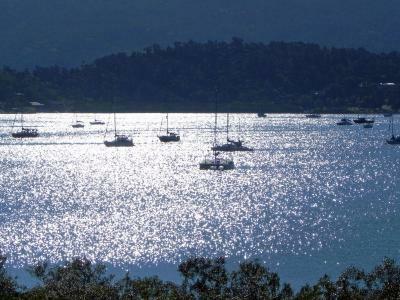 Airlie Waterfront Bed & Breakfast is a 3-minute drive from Abel Point Marina. Shops, restaurants and bars are on the doorstep. 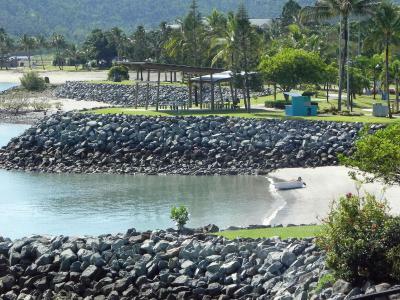 Proserpine Whitsunday Coast Airport is a 40-minute drive away. 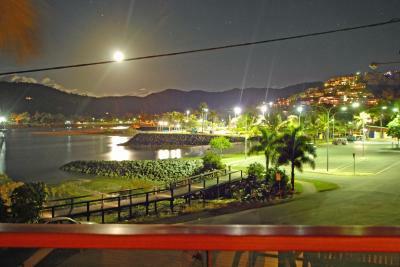 This is our guests' favourite part of Airlie Beach, according to independent reviews. 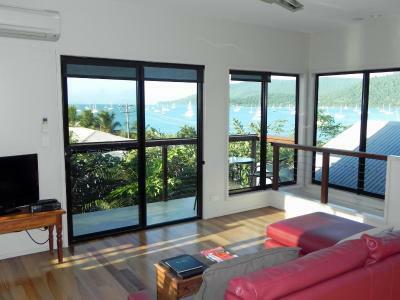 This property also has one of the best-rated locations in Airlie Beach! Guests are happier about it compared to other properties in the area. 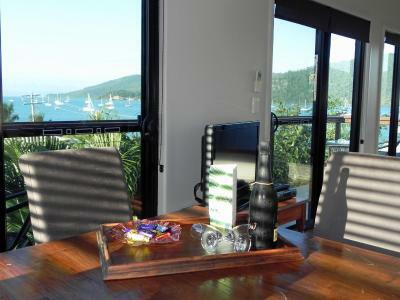 Airlie Waterfront Bed & Breakfast has been welcoming Booking.com guests since 16 May 2012. 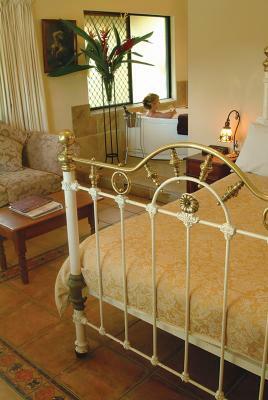 When would you like to stay at Airlie Waterfront Bed & Breakfast? 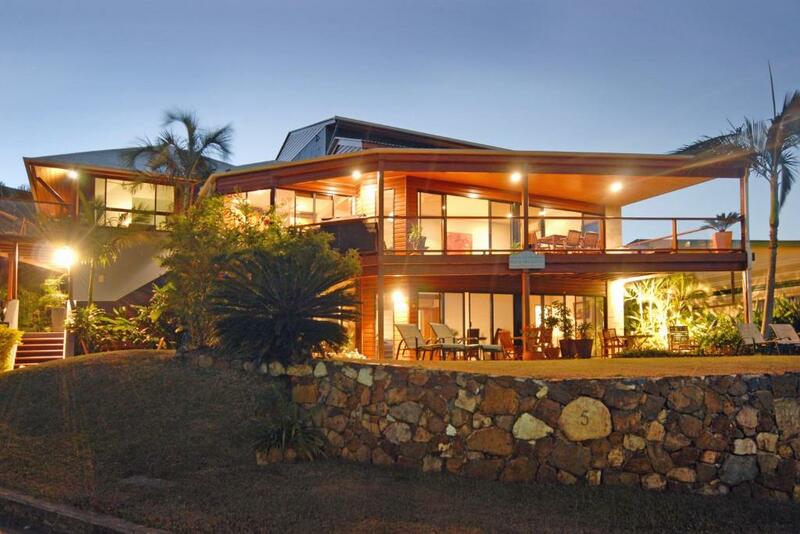 Features a balcony with ocean views and en suite bathroom with spa bath. The lounge area contains a sofa, iPod docking station and satellite TV. 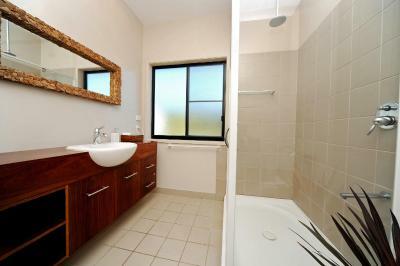 This waterfront apartment features a patio with ocean views and a private outdoor spa bath. The lounge area contains a sofa, iPod docking station and satellite TV. 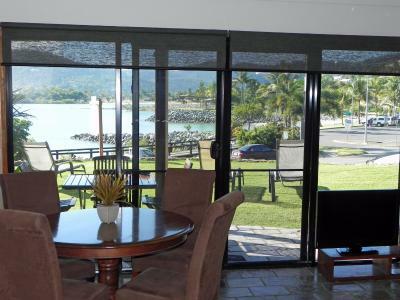 This apartment features a fridge, microwave, toaster and a patio with ocean views. The lounge area contains a sofa, iPod docking station and satellite TV. 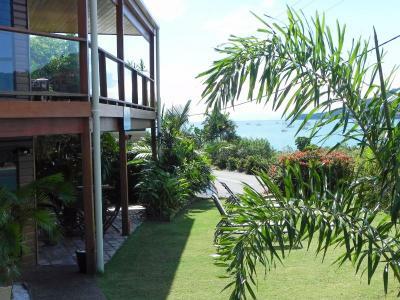 This apartment features a private patio with stunning ocean views. 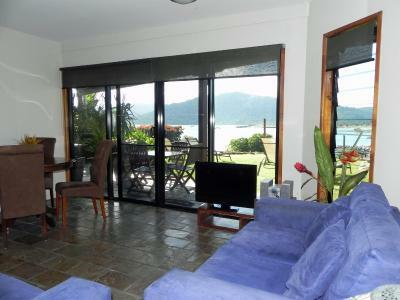 The lounge area contains a sofa, and a flat screen TV with satellite channels. Please note that the price is based on 4 guests. There is no capacity for additional guests. Please note that children under 18 years of age cannot be accommodated in this room type. This apartment features a private patio with ocean views. The lounge area contains a sofa, iPod docking station and satellite TV. 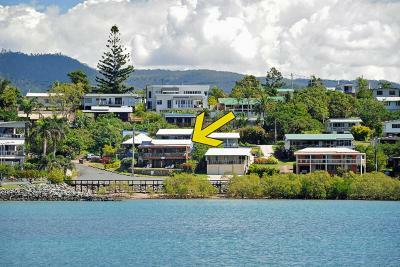 House rules Airlie Waterfront Bed & Breakfast takes special requests - add in the next step! Airlie Waterfront Bed &amp; Breakfast accepts these cards and reserves the right to temporarily hold an amount prior to arrival. Airlie Waterfront Bed & Breakfast accepts these cards and reserves the right to temporarily hold an amount prior to arrival. Please note that there is a 1.5% charge when you pay with a Visa/Mastercard credit card. Please inform Airlie Waterfront Bed & Breakfast in advance if you will be bringing children, and advise of the number and age of children. You can use the Special Requests box when booking, or the contact details on your booking confirmation. 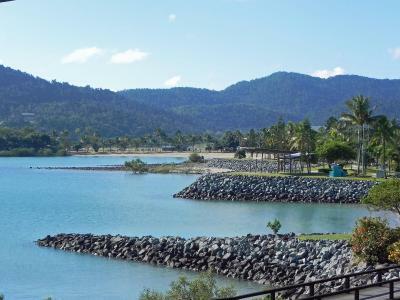 Transfers are available to and from Proserpine Whitsunday Coast Airport (charges apply). Please inform the property at least 1 day in advance with flight details if you want to use this service, using the contact details found on the booking confirmation. 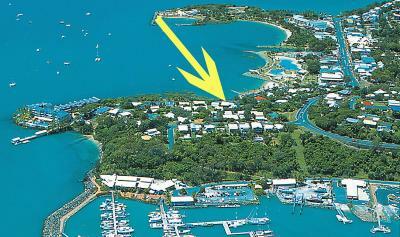 Please inform Airlie Waterfront Bed & Breakfast in advance of your expected arrival time. You can use the Special Requests box when booking, or contact the property directly with the contact details provided in your confirmation. Noise from building work from next door which began at 7.00 each morning. The beautiful view of the bay from our apartment was almost totally wiped out by vegetation and a tin roof. The whole first floor (as seen on the website photo) is the owners apartment, rental apartments are on the ground floor or on the side. Not applicable. We had a great time. The ac being not and far from the bedroom makes the room warmer so people who like cooler temperatures may need to turn on the ac sooner rather than later. 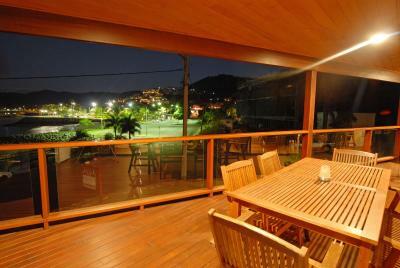 Awesome everything: location, view, place, room, central with both harbors. Very minimalistic breakfast that could use some improvement to me. Karen and Malcom were very friendly and helpful. Location and views were excellent.